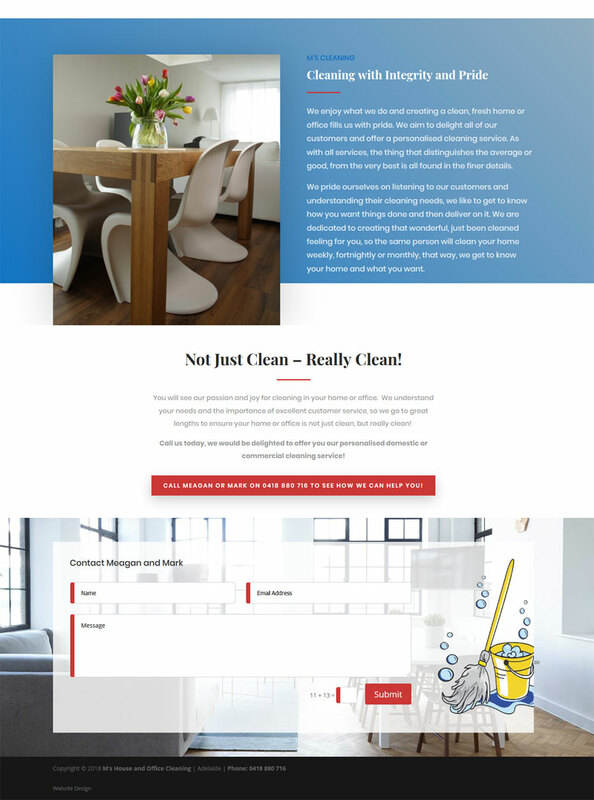 M’s House and office cleaning wanted to build a website to attract new domestic and commercial customers. They came to us on a tight budget and wanted the website built within a week. Website Adelaide designed one-page basic ‘Done For Me’ website with a fresh and modern and appealing feel. 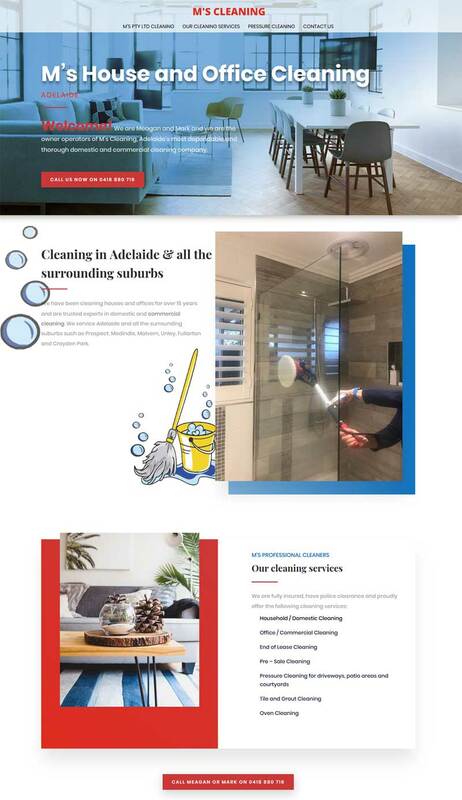 Whilst the client had a domain name we sorted out the website hosting through Joel at dezine.net and Colette Chorley Creative Content and Marketing interviewed the client and provided engaging, informative and keyword rich content for the pages. The website went live within 7 days of our initial meeting and the client was incredibly happy with the quick and efficient service provided Website Adelaide and Colette Chorley Creative Content.